I’ve grown to really love our Girls’ Night In time together. You all come up with the greatest questions and it makes the conversation so much fun. There is nothing better than quality time with a friend and truly getting to know them. That’s what these posts are all about. So Keep the questions coming! I’ll continue to keep the conversation going by responding to comments directly below. Grab a hot cocoa or a glass of wine and let’s get real. It’s Q & A time! Kim: I’ve followed your blog for years and I love it! Thanks for all your ideas and inspiration. I have a question for you…I noticed that you said you’d painted the table in your dining nook. I’d like to paint our dining table and was wondering what type of paint you used and if it holds up well? Thanks so much! Courtney: I actually get this question quite often so I thought I would share. The paint color is Clear Moon by Behr. I used a foam roller and probably applied 5 coats of paint. I really took my time and let each coat dry over night because I wanted to be sure it was done right. 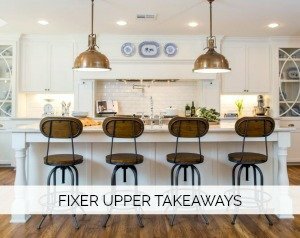 There was a time in my DIY career where I sped through projects just to call it done. But I have learned that patience pays off. After 4-5 coats I applied polyurethane to the top. It has held up remarkably well and has a very smooth finish. the foam roller really helps with that. We live hard and use this table multiple times a day and there is only one chip so far. Not bad! Even my husband has commented from time to time about how well the table has held up. I think I surprised him! It was in really rough shape before so you can see what a little paint and elbow grease can do! 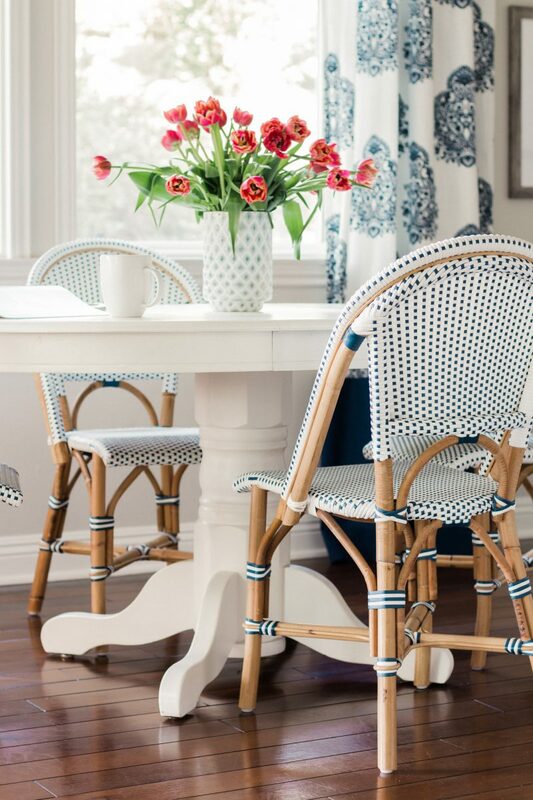 You can see our breakfast nook reveal here. Julie: These posts are so much fun. I am always curious about where people live. I know you are in Southern California but did you ever live somewhere else? Do you ever think about moving outside of California? Courtney: I am always fascinated about people’s past and where they have lived, too. Growing up I lived in St. Louis and Connecticut before moving back to California. Some of our dearest family friends were a result of living on those states. We made strong bonds that have lasted a lifetime. In fact our next door neighbor in St. Louis just came to visit my parents. Most of you know I did my undergrad in South Bend, IN (University of Notre Dame) so I spent a few chilly winters in the midwest. My husband was born and raised in PA. He immediately fell in love with the weather and the fact that we can be a the beach in the morning and to the mountains by the afternoon. We absolutely love to travel. We both have adventurous spirits and would love to travel more. While we have talked about moving many many times, with family nearby it wouldn’t make sense. My parents and sister are both within miles from us. We are lucky that our Pennsylvania family is able to visit and that is one of the main reasons we wanted a guest room. Now that our son is older, the boys are talking about heading back for a Steelers game next season. We’ve dreamt about the big piece of farmland out in the middle of nowhere (Chip and Jo style) but the one thing we can’t walk away from are our roots. We have strong ones here in California and have made incredible friends. We feel very lucky to call this home and with my sweet mom battling Alzheimer’s, we want to be as close as possible to support my parents. So never say never but I don’t see us wanting to move in the foreseeable future. Stacey: I tried a kickboxing class and really loved the workout. However getting to the kickboxing gym is hard with my schedule. I am considering buying a kickboxing bag to workout at home. Do you use an app or video for your kickboxing workout? Courtney: Do it!!!! You won’t regret it. So back in my single days when I was going through the teaching credential program, a friend encouraged me to go to her kickboxing class one evening. I fell in love. That was it. I pretty much despise most gyms but there was something about this that just clicked with me. I went multiple evenings a week and even taught classes when our instructor was out of town. It was an all male fighting gym but there were about 12 girls that came each night for a class. Looking back it’s so funny to me. There wasn’t anything glamorous or remotely nice about the sweaty gym. No disrespect to the training facility. It was my home away from home. But let’s be real. It was ROUGH around the edges and I think that’s what I liked. No one trying to look good or impress anyone else. It was just an incredibly challenging and great workout. 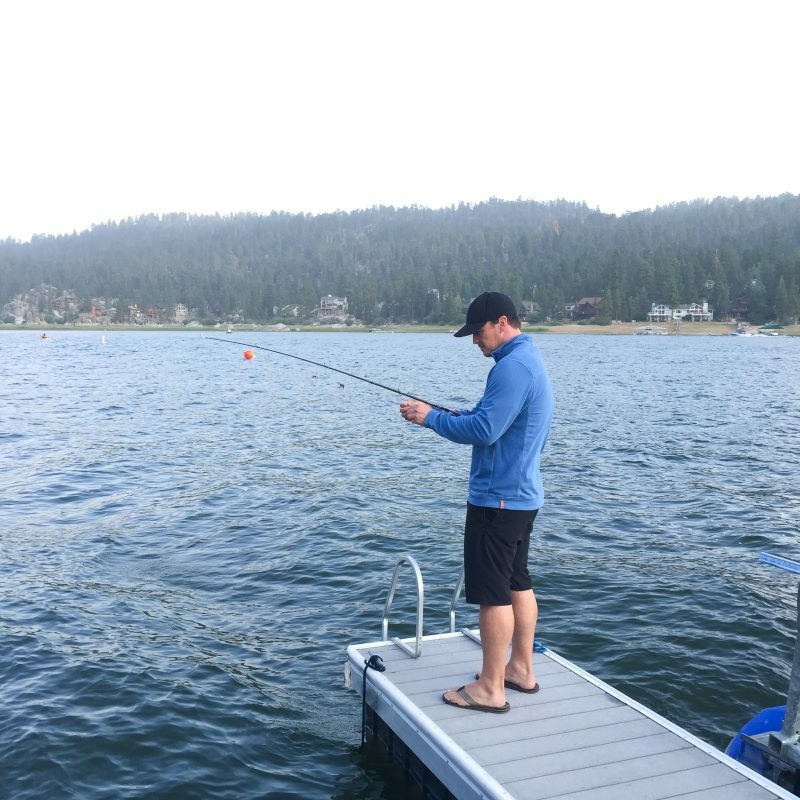 So in all fairness, I learned the technique and practiced under guidance for years. 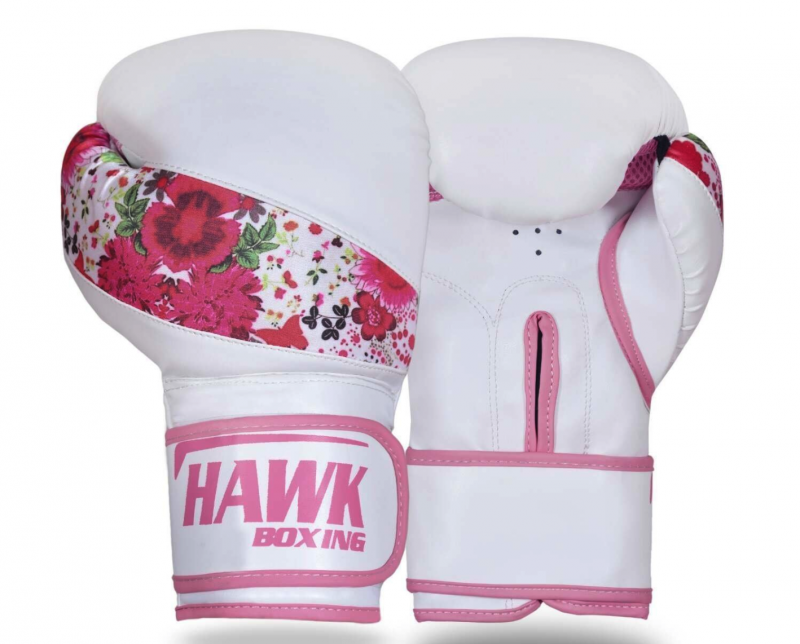 One Christmas when I was engaged to my husband, he surprised with a boxing bag for the garage. It’s still the one I use today. Because I have a pretty set routine, I don’t use an app or video. Repetitions of punches and kicks is how I begin the workout. Then I incorporate one minute rounds of punching and kicking with 30 second breaks. I will also jump rope in between rounds. After the bag I’ll do a ten minute core workout. A video would be really beneficial until you are comfortable creating your own routine. Keep me posted on if you do it. It’s a fantastic workout and really does strengthen your entire body. Jenna: You and your husband seem to have such a fun relationship. Has it always been like that? I would love to know what your best tips would be for a successful marriage. Courtney: Girls, you are brining the big questions! I am no expert nor do I think I am qualified for giving marriage advice but I can share our own experiences. I did write a post called Five Ways We Stay Connected and in it I chat about what works for us. To answer your first question, yes! I’ve had fun with my husband from day one and that is in part how I knew we were a great match. I’ve never been anything other than myself with him and he makes me laugh multiple times a day. But has it always been easy? Absolutely not. In fact when my brother passed away it was definitely a test of our bond. I wasn’t easy to live with and needed so much space. I would start crying during dinner and leave the table to protect our young children. He really took on a ton of responsibility during that time. But here is the thing. Throughout all of that we kept the communication going. I continually acknowledged that I was in a rough spot and I was sorry. He continually said he understood and asked what I needed. We maintained our closeness despite treading very rough waters. We didn’t allow resentment to creep in to our relationship. Once that season calmed, he lost the surgeon he worked with on a daily basis in a tragic surfing accident. He was one of his closest friends. That period was extremely rough and I took on most of the load. I bring this up because while you need to navigate the everyday things well, it’s sometimes the events that take you by surprise that can eat away at a marriage. I think it’s crucial to talk each and every day. Make each other a priority. I’ve said it 100 times, but we firmly believe that you need to put the needs of the marriage before the needs of the children. In doing so, you can see with more clarity just what the kids need. And you are a united front in raising them. Strong marriage, strong kids. I always want to be dating my husband. It’s fun and it makes us feel connected. So even on the weeks that we can’t actually go out for a date, we absolutely make it a point to either sit on the porch together or go for hikes. Sometimes we put on a movie for the kids and we sit outside together. Whatever you can fit it that really causes you to power down and connect is key. And a sense of humor. Life is flipping hard, right?! But it’s fun if you choose to have fun. You can’t take yourself to seriously. The second I start getting bratty he lets me know with humor and I check myself. Courtney: Gosh we started talking money early on. In fact we first introduced Save, Spend and Donate jars when the children were just 5 and 3! I think we’ve always wanted them to realize the value of a dollar. Our son gravitates towards this topic. At seven he was wanting to read investment books. He cracks us up. He is a saver and is very willing to work hard for money. Our daughter is not a saver but is coming around. They are all so different. We have never paid for good grades. I don’t know that any of their close friends get money for grades either. I think that is more just how we were raised. The expectation is that they work hard and earn those grades. We have had conversations about how those grades will earn them things down the road (ie: honors classes, college, etc). Before I go on you have to understand that my husband is very business oriented. He believes in “commissions” not “allowance!” Cracks me up but he has a point. He wants the children to learn that the compensation you receive is a direct result of the effort you put in. So there is a list of simple chores that the kids need to do each week that are just part of being a family. No payment. We all pull our weight around here. But you can earn commission by going above and beyond. Where we fail is the follow through. Ugh. Anyone else? We are so bad at keeping track and actually paying the kids. Isn’t that awful. My husband just recently found an app for the kids called Chore Monster and one for us called Mothershp. He thinks that together it will let the kids enter what they have done and we can keep track. I’ll keep you posted! If any of you already use and app for this, please let us know. We need the help. 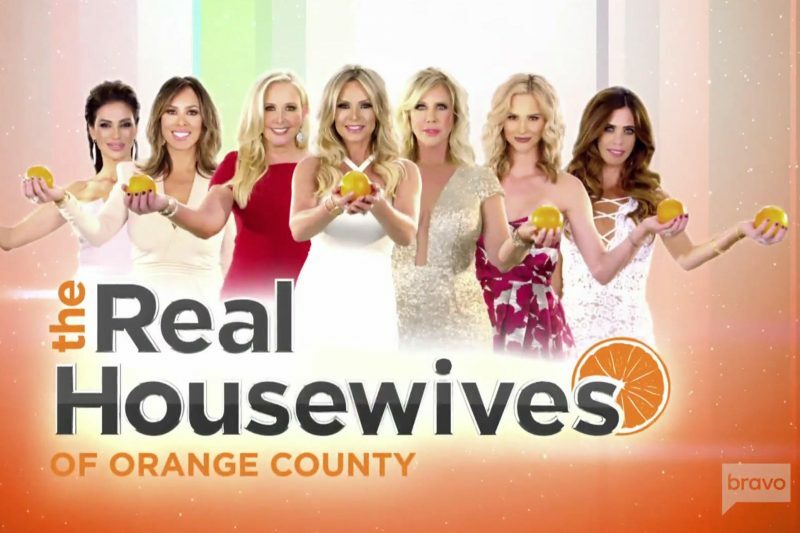 Christina: Do you ever run into any of the RHOC in your neck of the woods? Courtney: Let’s end on a fun one! I thought this was a great question. Why yes, yes we do. I don’t know any of them personally but a couple of the ladies live nearby. We had dinner next to Vicky and Tamara (with Eddie and Brooks). They had just wrapped filming but those four stayed to have dinner. They were very much who they are on the show. I’ve run into a few of the girls shopping at HomeGoods or on the soccer field back when our son played. While the show is entertaining to watch, I steer clear of drama so they would all find me extremely boring! LOL. And I’m ok with that! Thanks for stopping in for a little bit of girl talk. I love chatting about the good stuff. Please feel free to leave a question in the comment section below for our next Girls’ Night in. And if you have missed any of the Q & A sessions, you can get caught up below. 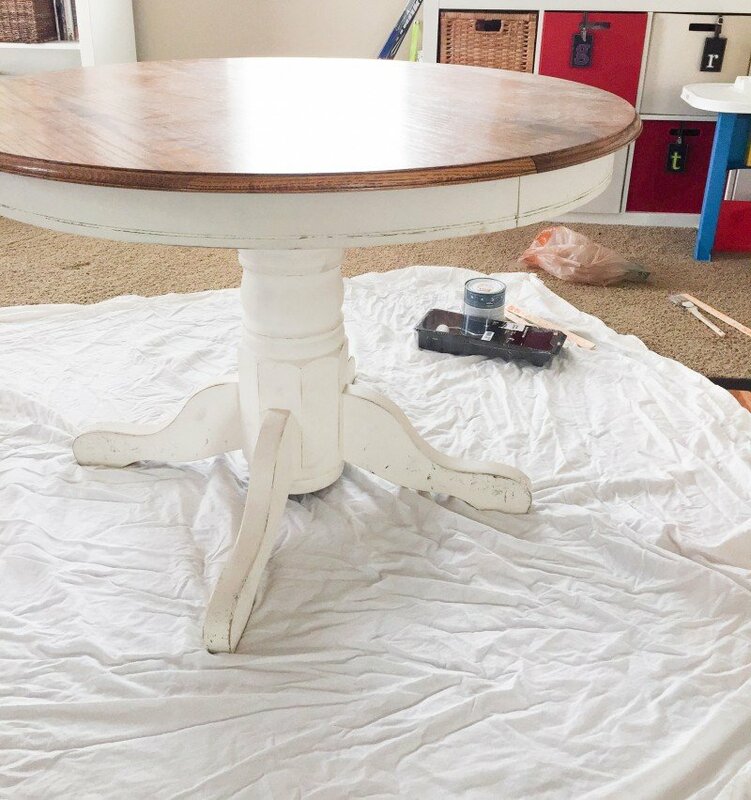 I’m eager to paint my dining table as well after seeing yours! Such a simple, yet impactful, DIY! Thank you for sharing. How did you get interested in blogging? Did you use any special resources? How has your blog evolved since you started? Love reading these posts Courtney. Keep ’em coming. Real Housewives is my guilty pleasure…I can’t help it! Love your Q & A posts. Thanks for sharing! Love the tips on kids and “commission”. Definitely using that one! Our oldest works hard for his “allowance”, but the younger kids need some motivation. Looking forward to any updates in those Apps. We are terrible about paying too! Thanks for your insights on making time w/ your spouse. To be honest, in the past, it used to almost annoy me when people would point to “date nights” as the secret to their success as a couple. I would think (in the middle of changing diapers, making meals, doing laundry and work) – who has the time?!? Who are these people?! Lol. 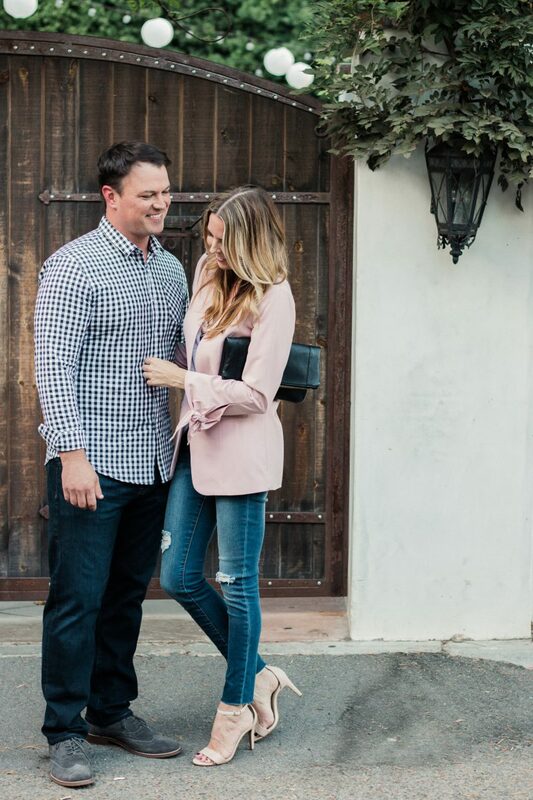 But as the kids have gotten even just a little bit older, it really does seem more attainable now – and your advice for keeping it simple (ala grocery store dinner date) is right on. Committing to that time together makes a big difference. Love that your son loves hockey – being from MN, it is a way of life here, and you wouldn’t dream of hitting the rink without those boots! Fun post, have a good rest of the week! Now I’m looking around my house to see if there is anything I can transform with a coat of white paint lol ! Courtney, I love reading your blog. My mother-in-law was diagnosed with early stages Alzheimer’s a little over a year ago. Currently, she is doing well. I think at home my father-in-law has noticed more changes than the rest of us right now. It’s so frustrating, because there’s no way to tell how things will be days, months, or years from now. I know it’s a personal journey for everyone involved, but my question is how did you tell your kids? My girls are 8 and 4. What breaks my heart, is that my youngest may not have memories of her Grandma being healthy, but that too is an unknown. Right now, they don’t know anything, because of their ages and in their little minds, there is nothing wrong. But when things take a turn, do you have any advice on how to handle it? Thank you so much! This is why you’re my fav Courtney! So insightful and real! Thanks for sharing. I love really getting to know the women behind my favorite blogs, so I really enjoyed this post! 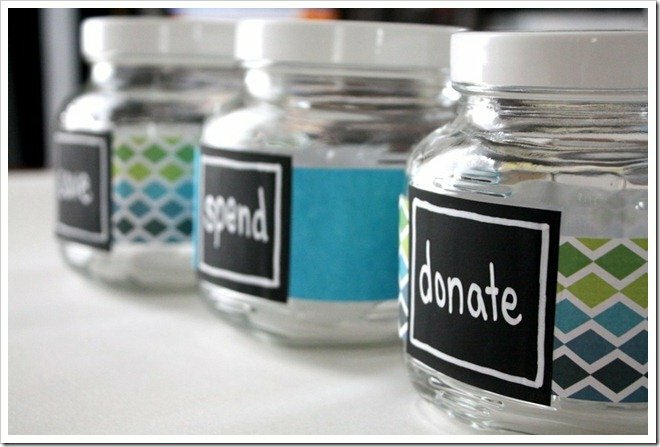 Those jars are such a neat way to teach the value of money to your kiddos. I’m a few years away from having kids, but that definitely sounds like something I’d like to implement in the future 🙂 Also love hearing about your relationship with your husband! I have a question! How did you meet your husband? In all my years of reading your blog I can’t recall hearing this story. 1. 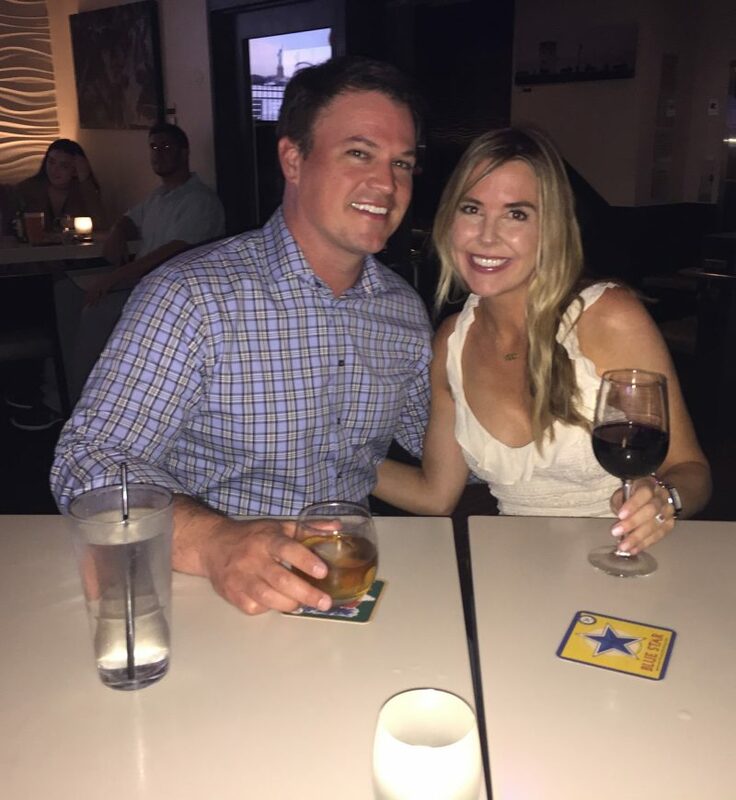 Can you share how you and your husband met and any other fun or interesting details about that? 2. I’d love to hear about your process in choosing the main color for the interior of your house. 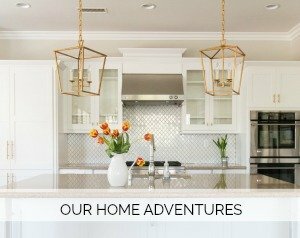 I’ve noticed that in both houses you steered away from the trendy grays and then whites. I assume these were all intentional, thoughtful choices on your part so I’d love to hear more about why you love and prefer the shade you do and how you feel like it fits in with and helps your other choices in the house.